The accommodation comprises of a large downstairs lounge and dinning area with high ceilings and natural wood flooring. 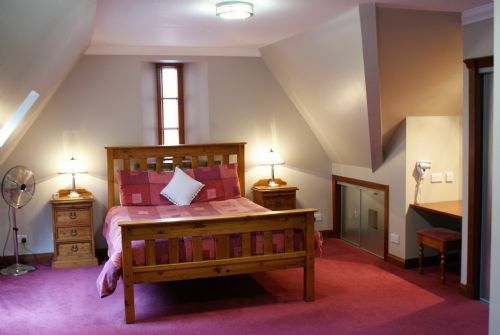 A hardwood staircase leads to the spacious king size ensuite bedroom on the upper level. 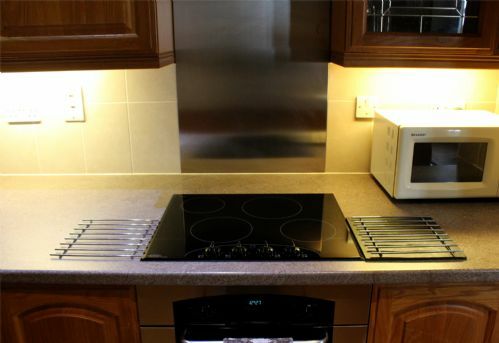 A fully fitted kitchen is provided. The Stables also has a private garden and patio area with barbeque. 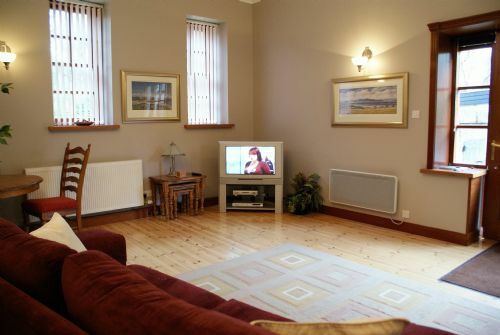 Full central heating, telephone, Sky TV in all rooms. great location, beautifully appointed accommodation, very pleased with everything. We also used the connecting door to the coachhouse as we were a large party of family and friends and it was very useful. Booked the Stables but on arrival, heating wasn't working. We were moved next door to the Coachhouse which is a massive 3 bed-roomed lodge. It was really lovely but not sure if this would have been possible at a busy time of the year. The Coachhouse was excellent but before we were moved we had a chance to look round the Stables and it looked extremely comfortable and cosy. I'm sure we would have enjoyed our stay equally as well had we stayed there. We recently stayed at the stables for a friends wedding and it was fab. We stayed for three nights and had a lovely time. Due to rubbish weather we spent most of the Saturday at the lodge and it did not disappoint. Would highly recommend staying here. We booked the lodge accommodation while attending a wedding in the area. The Stables were very well furnished, clean and comfortable. However, attention to the little details would have made it so much better. eg crockery and cutlery were a mishmash of types and sizes - too many of one not enough of another. The knife block looked impressive but all the knives were blunt and the steel to sharpen them was hopeless. Basic cooking implements were inadequate. The accommodation was not cheap (minimum 3 night stay) so would expect better equipment to be provided for self-catering. (No butter was provided even though it was listed as part of the basic welcome pack). This is a great place to use as a base to explore the Loch and the surrounding Highlands - it just lets itself down with the detail. One other matter the car parking was OK but became very muddy after rain and some of the outside spaces could have been better cared for - bins, gardens generally and the outer woodland environment. This is constructive criticism so I hope it will be taken as such. Loved the stables and it was so clean and comfortable. Very peaceful surrounding. Plan to stay nearer loch next time. So pleased we found this accommodation on an internet search by chance. We really enjoyed staying at the stables lodge. 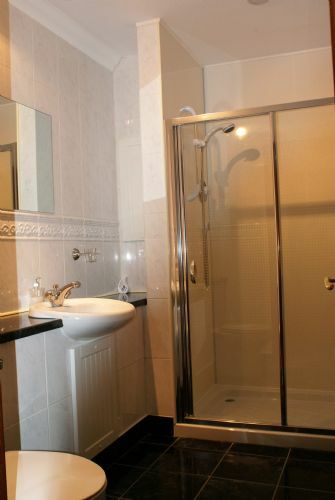 Very clean , spacious and a great location. We didn’t think of bringing toiletries, so we had to go out and buy shampoo, soap etc. We used the Stables as extra sleeping space 'connected" to our use of the Coachouse Lodge for a large family group attending a wedding at the nearby Cruin. 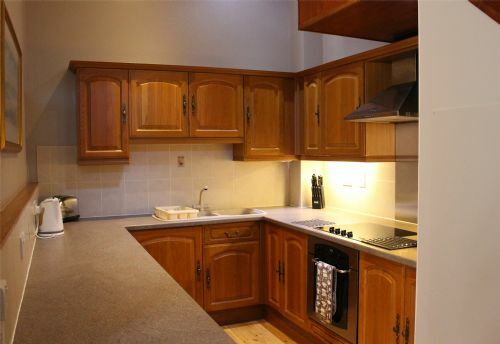 Well equipped kitchen and large bedroom. The Stables Lodge is in a lovely quiet location, the nearby road does not intrude and I am very sensitive to annoying sounds. The decor of the lodge is pleasantly elegant and modern yet makes you feel immediately at home. It is very clean and tidy and well looked after. So glad we chose this instead of a local b&b. The only thing I would change is to update the Ballock Walk instructions as they led us down to a locked gate. Thank you for a making our stay relaxing and enjoyable. The Stables Lodge was in excellent condition. We were very comfortable and the quiet location was perfect for a relaxing getaway. The extra touches like the food provided were a great help, as it was the perfect starter pack and meant we didn't have to lug extra shopping about. One issue was that the wifi password wasn't written anywhere in the lodge - we would have contacted the lodge manageress regarding this (who I'm sure would have solved the issue immediately) but we decided not to use the internet for a couple of days to add to the relaxation. 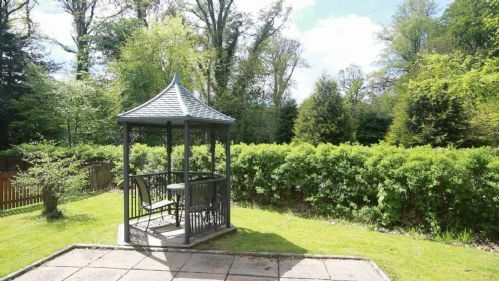 The lodge is in easy walking distance of a bus stop where buses will take you into Balloch and straight to Glasgow. This was great as neither of us drive, however if you are planning on staying for more than a few days I would recommend a car. Overall a lovely trip, thank you Auchenheglish Lodges! 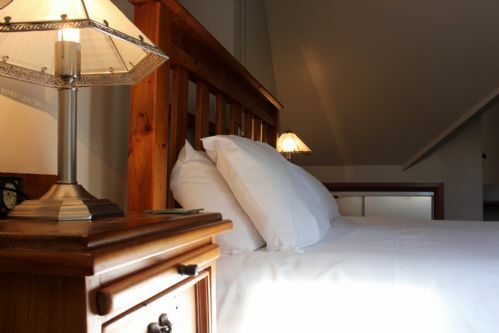 The stables lodge was in excellent condition with all the comforts anyone could wish for,the welcome pack was one if not the best we have ever come across. We unfortunately had to leave the lodge early due to both coming down with flu ( nothing to do with the lodge) which obviously ruined our mini-break somewhat. 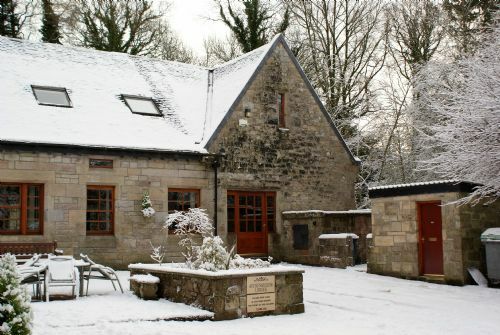 Myself and my boyfriend had a wonderful stay in the Stables Lodge as part of the Auchenheglish Lodges. We were warmly welcomed by Liz and Wendy when we arrived. The lodge itself is a little hard to find from the road as it is further away from the main reception area where the other lodges are, but once we knew where we were going, it was easy to locate! 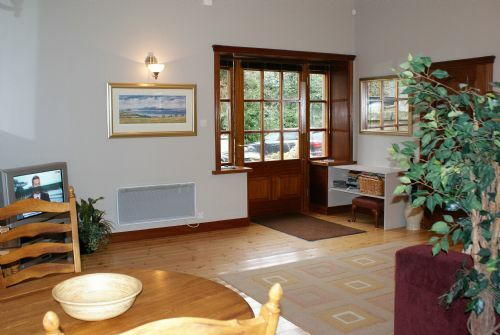 The lodge itself is nicely decorated, spacious and comfortable. For two people we had more than enough space with the large living room area and kitchen, plus the open upstairs bedroom. It was extremely clean and we were very kindly given a welcome pack with a few essentials to keep us going, plus a bottle of wine too. The bathroom has an automatic extractor fan and light so could be a bit distracting as is connected to the bedroom, but goes off after a while and we quickly got used to this. It was a brilliant stay and the perfect accommodation for what we wanted! Due to the changeable weather we where a bit limited to fully enjoy our break.On saying that the cottage we stayed in was lovely with all we needed except for food and drink which we picked up on route.We would have liked too see direction boards to cottage as a help.Overall would certainly stay there again. 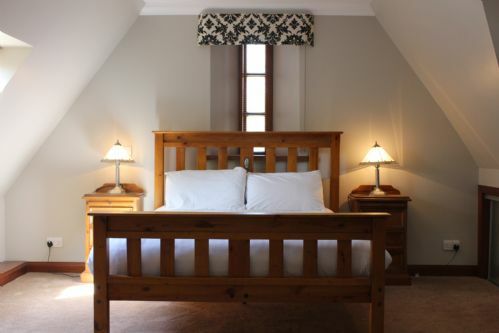 A lovely comfortable cottage, full of character and a perfect place to relax and unwind after a busy week at work. A lovely place, very relaxing stay. Clean and comfortable. Everything within easy distance. Would recommend to others. A relaxing stay on "the bonnie banks"
Despite the mainly wet conditions (after all we were in Scotland) the Stables made for an enjoyable and relaxing short summer break. We could not ask for a better equipped place to stay, though we ate out for all meal beyond breakfast. Booking with Auchenheglish Luxury Lodges was easy and efficient. Very minor gripes... the noisy bathroom fan. My wife is not as nimble as she would like so the step up to front door is a little high and unfortunately the walk to the Cruin was a no for the same reason (steep down with high step on mid path to Loch). We ate out twice at Duck Bay - very good with stunning Lochside views, good food and good service. Can also recommend The Balloch House. Helpful and friendly service and thoughtful provisions of essential needs oh and of course a bottle of wine in the fridge, overall a pefect location for a long weekend break. 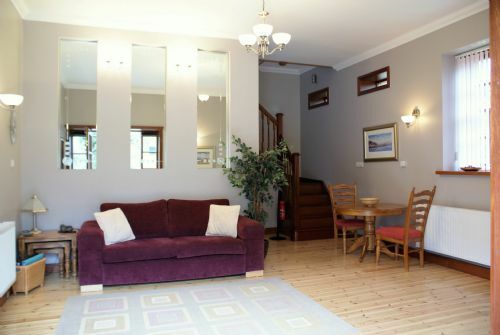 A lovely peaceful lodge within walking distance of the Loch. Everything you could possibly want provided, utensil and even a welcome breakfast pack. The only minor fault I could find was the fact that we were there for 5 nights and only had one bath towel each for the duration, As we showered at least once a day we felt that this wasn't quite sufficient. We had a wonderful mini break,the weather was beautiful and so were the Lochs and mountains. It was our first visit to the lodges and we will definitely return. This was a perfect place for a romantic weekend getaway. Clean, comfy and in a great location. The welcome pack was a nice touch although not a big fan of rose wine. Amenities were a close drive away. Pretty much everything we were looking for. Map was a little unclear especially in the dark. There was some noise through the door linking the two cottages. Minor details. Highly recommended. Accepting that the wetaher is infuential in accommodaton such as this I think it would be very useful if agreement could be secured with adjacent properties in order that a party could walk directly to amentities at Duck Bay etc without walking on main road, which is very unpleasant and potentally danagerous. Apart from that all okay, but 18 steep stairs up and down to toilet etc is not entirely fun. Superb luxury home from home in fantastic surroundings. This was our first time in this location and we loved everything about it. This is a sensationally nice property. Had everything we needed, in a nice private setting, very well appointed and comfortable and excellent value for money. We had fairly indifferent weather but it didn't really matter as this was a good base to visit places like Luss and Inverary (the Castle is worth a visit). The Duck Bay Marina was a great place to eat-really good food and excellent value for money. we struggled bit with the directions to the beach but got there in the end! I wouldn't hesitate to recommend this property. Only glitch...the TV upstairs doesn't work. We even had a SKY technician as part of the wedding party, and we couldn't get it to work. Pity, as my parents are elderly and couldn't go up and down the stairs to watch tv. We were forced to pay for 3 nights when we only needed two. By the third night everyone had left, so it was just me and my parents in both huge houses attached to each other. This policy of a minimum of three nights should be reviewed. My wife and I had an extremely pleasant stay.The lodges are in the most beautiful location,we particularly liked the natural feeling of our surroundings. Stayed here for two nights a few weeks ago and I have to say it was perfect. 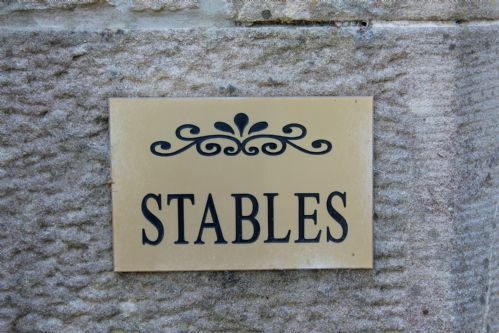 The Stables is set in a beautiful location and the accommodation itself is near perfect. The staff were also very helpful during booking etc. I couldn't have asked for more. Stay at the Stable Lodge. No need for help thank you. Everything was wonderful. Would like to stay longer next time, if you could guarantee better weather that would be a plus factor. This was our second stay at The Stables, the last time was 5 years ago. It was just as good as the first time, clean, comfortable and well equipped. 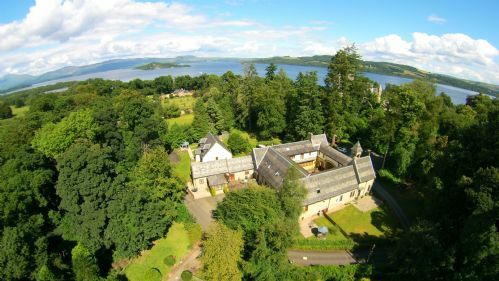 The location is great for visiting family and the Loch Lomond area and Glasgow. Great weather was a bonus! We chose this as we wanted a short break (3 nights Fri- Sun) around Loch Lomond and struggled to get anything. 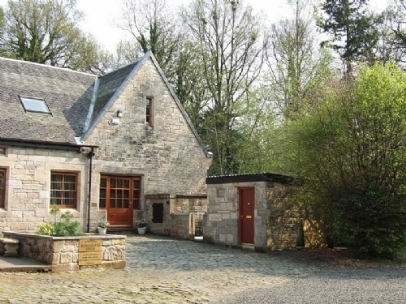 It is a well stocked facility close to Loch Lomond and in walking distance of bars/ places to eat. The only disappointment was the breakfast pack as else where we have had a higher standard such as eggs/ croissants/ fresh bread left. There is an excellent farm shop across the road so we went there and stocked up. 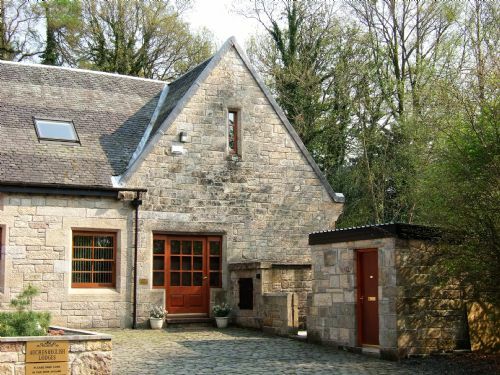 The team at Auchenheglish Lodges were superb- booking from overseas was made incredibly easy by their efficient communication and excellent customer service, and we had a very friendly welcome on arrival. Stunning setting, beautiful accomodation and great value for money. We'll definitely be back! We had a very relaxing break within walking distance of Loch Lomond. Spacious and comfortable accommodation, very nice welcome pack of food and drink, great setting (unless you have a phobia of rooks!). As I writer, I enjoyed the Hitchcockian atmosphere! Would return tomorrow if it were a bit closer to Oxford!! But acted as a great stopping place en route to wedding at Crear. For our first short holiday with our newborn son we decided to go back to the Auchenheglish lodges where our wedding party stayed for our wedding a few years ago. And we weren't disappointed! The staff were so helpful from our very first enquiry, offering us all sorts of assistance and baby aids to make our stay more comfortable. As a bonus the Stables was animal free, a rarity today as more and more hotels etc become animal friendly, which is a nightmare when my wife has pet hair allergies! The Stables also felt cosy and secluded yet within a short walk of the Loch itself and a few miles from the shopping opportunities at Lomond Shores and amenities in Balloch. Would thoroughly recommend any of these lodges for a base of operations for a visit to this area. This was our 4th stay at Auchenheglish-2nd time at Stables. Customer care is first class from time of enquiry through to departure. Properties are high spec. This visit we appreciated the addition of an armchair to the lounge furnishings; so much better to have extra seating after a walk. TV perhaps need replacing as screen prone to pixelation but maybe that was due to weather interference? We'll certainly return for guaranteed relaxation. This was a last minute booking for Christmas as we were flooded at home. Liz as always was beyond helpful and it was lovely to celebrate when we thought it wouldn't be possible. Great location and standard as are all the properties. Great location. Lodge was beautiful, comfortable & relaxing. High quality too, felt very luxurious. Would definitely recommend & would love to return. Thoroughly enjoyed our four days.Beautiful part of the country plus weather was kind to us.The accommodation was a perfect base.It was also very comfortable .Hope to be back next year. Beautiful, clean, comfortable accommodation in a lovely setting. Great communication - Liz was great, helping me to organise this break. I would definitely recommend to others. Hoping to book again very soon.